Istanbul BB-C20 Black Bell Crash 20"
BB-C20 Black Bell Crash 20"
The Istanbul BB-C20 Black Bell Crash Cymbal 20" is crafted from hand hammered B20 bronze with a medium gauge and traditional finish. 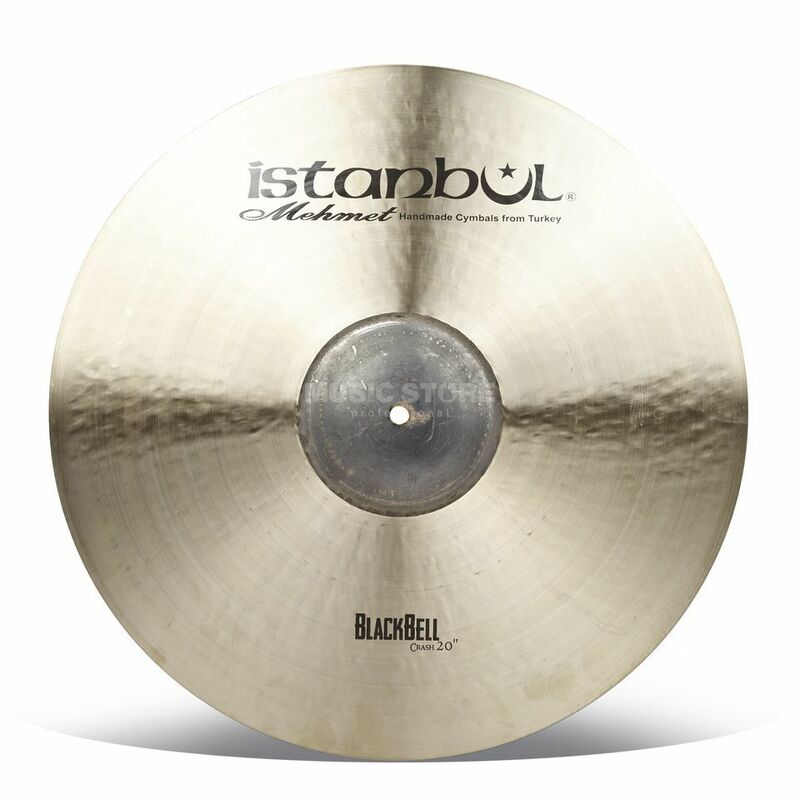 The special feature of the Istanbul Mehmet BlackBell cymbals is that the bell has a dark, untreated character and the playing surface is gently lathed. The resulting extremely wide sound range serves almost every style of music and can sound defined and quiet as well as loud and dark. All Istanbul Mehmet BlackBell Cymbals are made from high quality B20 bronze and, of course, like all Istanbul cymbals, are completely handcrafted according to old Turkish tradition. The BlackBell variants are available in a traditional and a shiny finish. The extremely broad spectrum of the Istanbul Mehmet BlackBell cymbals predestines them for the work in the recording studio, but also on stage, during the live performance, they cut a good figure. Stylistically they can be used in every conceivable direction, from metal to pop or hip-hop. Gently struck, the tone is light and warm, with firm play the sound dark and deep. The Shiny version is even more brilliant and richer in overtones than the traditional version, which is earthier and warmer.